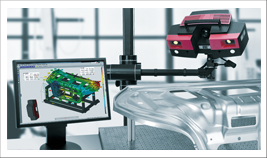 Metrology is an essential part of industrial manufacturing. Chuo Koki has established a permanent Measurement Solutions Center at its head office with the aim of improving the measurement of products, cutting through paperwork related to measurements, and enhancing quality management. There are few other companies with such capabilities, and our measurement team is on hand every day to improve technology and knowledge so that the best proposal will be provided to the user. At the Measuring Equipment Department, there are measuring equipment specialists ready to serve the user through a series of activities from the measuring instrument plan through to after service. The Measuring Equipment Department works with the Sales Department to resolve matters by providing proposals that incorporate our products, technology, and knowledge. 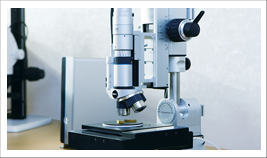 Our team of measuring equipment experts have the knowledge and experience to achieve a swift solution to any inquiry. On seventh floor of our head office, we have a seminar room with capacity for 64 people. In this seminar room we regularly hold technology seminars on the theme of measurement. In this way, we are always providing the very latest information. Chuo Koki is dedicated to providing excellent after sales support. After installing the measuring, testing, or analysis equipment, we stand ready to provide a swift response to any inquiries and to offer suggestions on maintenance and updates while collaborating with relevant manufacturers.Since the equipment will be used for ten to fifteen years, our business relationship with end users continues over a long period. During this time, we are always ready to provide a reliable response.